On September 30th Archbishop Lori celebrated the "Blue Mass" at St. Casimir Catholic Church. 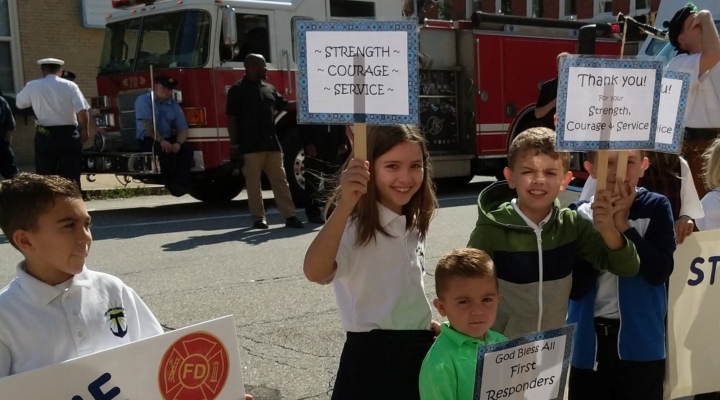 Hundreds of people attended mass including many of our St. Casimir families, teachers, and staff to pray for our First Repsonders and those who have lost their lives in the line of duty. Following Mass, our students lined the street holding up signs with thoughts of encouragement and support. Other students handed cards out to First Responders as they exited church. God bless those who serve!